The program aims to fully acclimate teachers to the American secondary school system, and is broken down into three parts. The teachers first participated in four weeks of orientation on U.S. culture and ESL teaching methodologies in preparation for a school site residency. They then spent two weeks in a Texas school district outside of Austin for active site collaborations. While completing their residency, the teachers lived with an American family, and was able to better integrate and experience Texas culture. 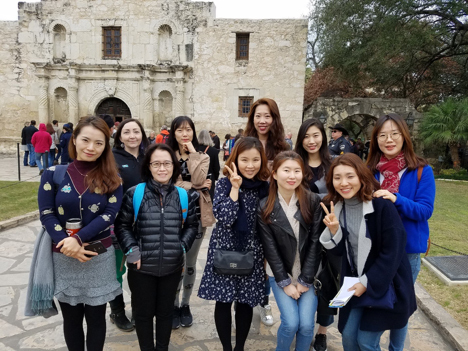 During their final week at TIEC, the Korean teachers reflected on their experiences, and formulated a plan to integrate and share the knowledge and skills gained during the program into their teaching back home in Korea.